Have you ever wondered why your dentist starts rattling off a series of numbers to the hygienist in the middle of your cleaning? 2, 2, 3, 2, 4, 5! What's going on there? 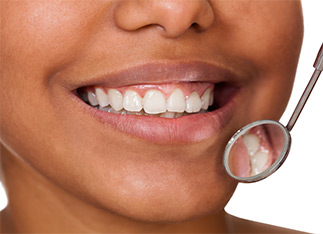 What your dentist is doing is checking the depth of gum tissue pockets that surround your tooth. It's a proactive way to identify your risk for gum disease, and when done regularly, can help catch it early. Dental probing is a pretty interesting exercise in dentistry, can save you from surgery and extractions, and here's why.